Paper Cuts: Young Adult Giveaway Hop! 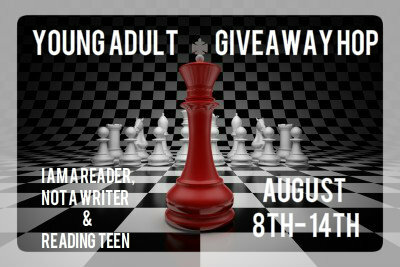 The Young Adult Giveaway Hop is hosted by I am a Reader, Not a Writer and Reading Teen! thanks for making this international..
We love to have your feedback! Let us know what you're thinking. Blog Tour/Review: Evergreen + Giveaway!